I'm an inspirational speaker on Social Media as a Marketing tool to drive acquisition and loyalty. I help people create impactful online reputations through personal branding. And I'm passionate about keeping kids safe online. Melissa Musgrove has more than fifteen years of experience in Marketing and Advertising, specializing in Digital and Social Media. 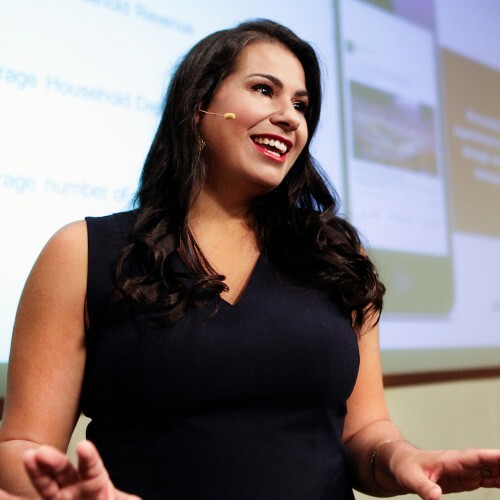 She creates integrated, customer-centric, data-driven strategies that engage through gripping content, precision targeting and irresistible customer experiences. She has launched billion-dollar brands into Social Media, establishing them to drive engagement and acquisition. She has worked with small businesses and nonprofits to foster engagement and loyalty, create brand advocates, drive sales and raise funds. Her proven track record of success helps brands stay current, demystify Social Media and achieve real results. Those are some of the reasons she was named one of the “Top 5 Most Dynamic Financial Marketers” in 2015 by Torchlite. Melissa is a passionate speaker, delivering keynotes and workshops across the country and internationally. She is a member of the American Marketing Association Speakers’ Bureau and specializes in Social Media Marketing, personal branding and more. Find out more about Melissa Musgrove at http://www.melissamusgroveconsulting.com.